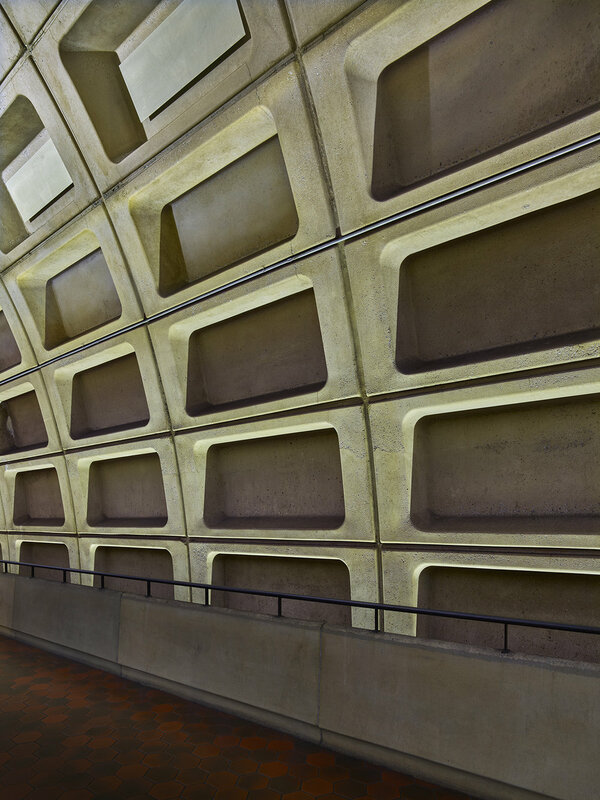 The DC Metro is one of Brutalist design and reflects the influence of Washington D.C.'s neoclassical architecture within the city. Designed by architect Harry Weese, the system first opened in 1976. The Brutalist design features heavy use of exposed concrete, granite and repetitive design motifs with indirect lighting. 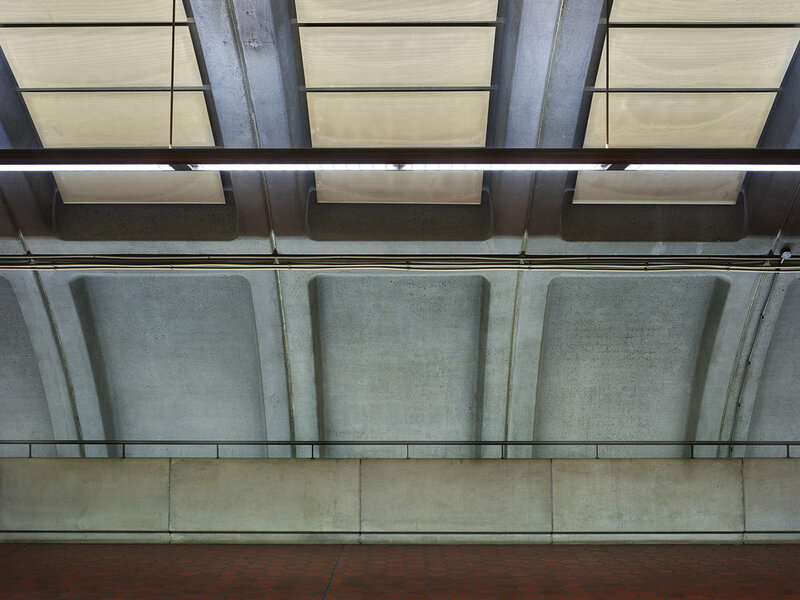 The DC Metro is one of the most uniquely designed systems worldwide and is one the busiest underground transit systems in the US.